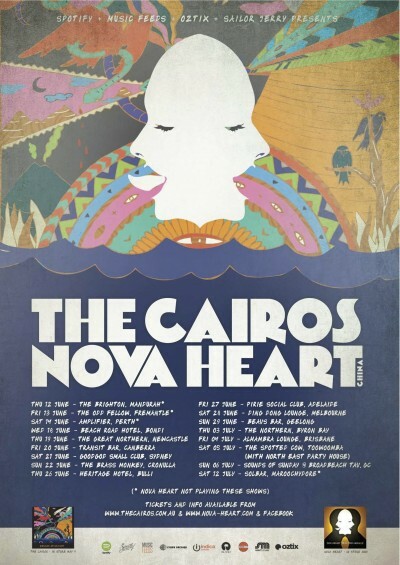 Following their brand new record ‘Dream of Reason’, Unearthed faves The Cairos bring their huge Australian tour, including China’s amazing Nova Heart, to the Goodgod Danceteria! Coming off the back of a heap of festivals and a South-East Asian tour, The Cairos are gonna be charged up and road-honed for an unstoppable run of shows. Check it out at Goodgod!